If you walk down Fifth Avenue and 14th Street toward Union Square and notice a building under construction with crooked columns, don’t worry—it is not about to collapse. According to NBC New York, the SOM-designed New School University Center, previously detailed by AN, is raising eyebrows from the local community because some of its columns are slightly skewed. But it’s no mistake. 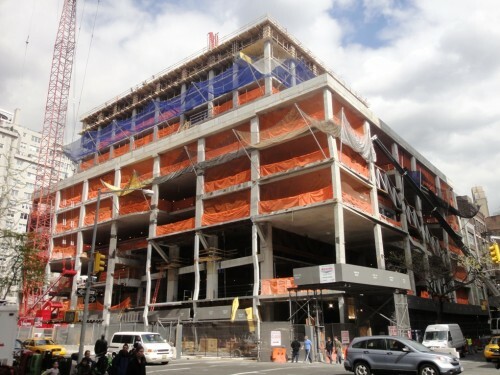 “It’s the most efficient way to carry all of the different structural loads of the building from the top of the foundation, ” Joel Towers, Parsons The New School for Design dean told NBC. The New York City Department of Buildings has confirmed there are no safety issues with the project.